I reviewed The Incurables by Mark Brazaitis for the current issue of Mid-American Review. The stories in this linked collection, reminiscent of Sherwood Anderson's masterful Winesburg, Ohio, are fresh, inviting, and comically bizarre. 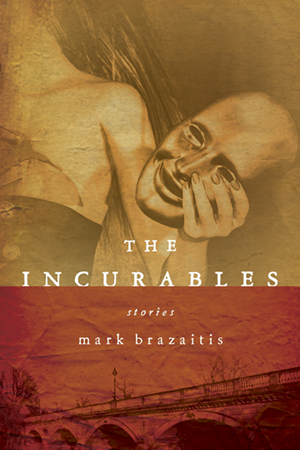 Brazaitis conjures the small town of Sherman, Ohio, a place that comes to life beautifully on the page. The characters here have deep roots, and for most, the city limits act as a boundary that they dare not cross. Never unkind, Brazaitis forces his characters to face down trouble of their own making; he backs them into a corner and makes them fight their way out, often with dire consequences. I can't recommend this book enough. Thanks again to Mid-American Review editor Michael Czyzniejewski for assigning this book for review; I'm happy to be a regular contributor now. You can get a copy of the new issue of Mid-American Review here and a copy of The Incurables here.